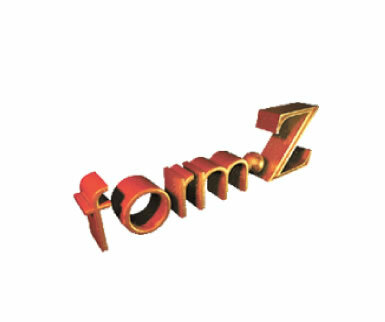 form-Z is an award winning general purpose solid and surface modeler with an extensive set of 2D/3D form manipulating and sculpting capabilities, many of which are unique. It is an effective design tool for architects, landscape architects, urban designers, engineers, animators and illustrators, industrial and interior designers, and all design fields that deal with the articulation of 3D spaces and forms. form-Z is highly responsive to the needs of mature designers and, at the same time, novices can use it with ease. solidThinking is the breakthrough 3D modeling and rendering environment delivering all the tools for the creation of high-quality, professional 3D models and the power to render them with unsurpassed photo-realism. solidThinking is the professional surface modeling and rendering solution for industrial designers, style centers and CG artists available on Windows and Macintosh. solidThinking is fully parametric: thanks to the exclusive Construction History, the designer has complete freedom to explore design alternatives and exploit creativity. Not only a Class-A surface modeler, solidThinking lets you render your manufacturable models with unsurpassed photo-realism. VectorWorks is currently the best selling CAD software on the Mac and an industry standard on Windows. With over 150,000 users in over 80 countries, it is one of the world's most popular CAD programs. Engineered to meet the specific needs of smart-sized companies, VectorWorks 10 has everything you need for precision 2D drafting, powerful 3D modeling and sophisticated client presentations. Plus, it has built-in database and spreadsheet capabilities to track costs and materials, and flexible scripting language to automate routine drafting tasks. 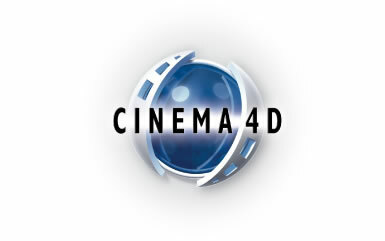 CINEMA 4D R8 is the center of the CINEMA 4D universe, the powerful core that can be extended with individual modules. CINEMA 4D R8 provides the tools necessary for most day-to-day 3D tasks, from simple logos to complex visualizations. You can count on CINEMA 4D's speed, stability and easy to use interface to help you get the job done on time and on budget. Taking into account feedback from real-world artists and part-time users as well as the big studios, CINEMA 4D R8's workflow has been optimized so you can work even faster and smarter. Take a look at the video and graphic highlights above or download a free demo version (available for Macintosh and Windows PC) and see for yourself the real world usability of CINEMA 4D Release 8. Piranesi is a specialised '3D painting' tool, allowing you to start with a simple rendering of a 3D model, and quickly develop it into high quality images ready for client presentations. You can use Piranesi to quickly develop photorealistic images by painting in textures and scenery with automatic perspective and masking; or you can use Piranesi's wealth of effects to generate non-photorealistic images that have a more subtle, hand-rendered feel and focus the client's mind on what is important in the design. © Copyright 2006 Three Dimensional Technology. All Rights reserved. Reproduction or copying of images prohibited.